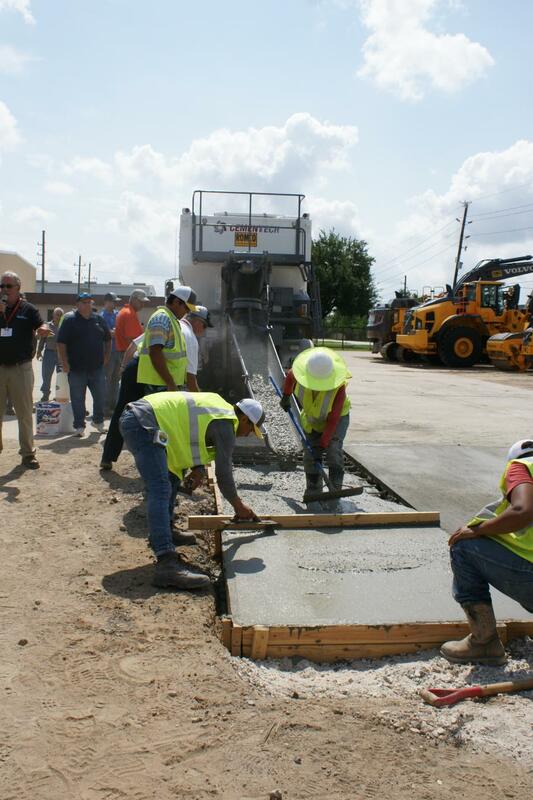 Both Roadshows (San Antonio seen here) featured demos that showcased fast-setting concrete, flowable fill and typical concrete production. 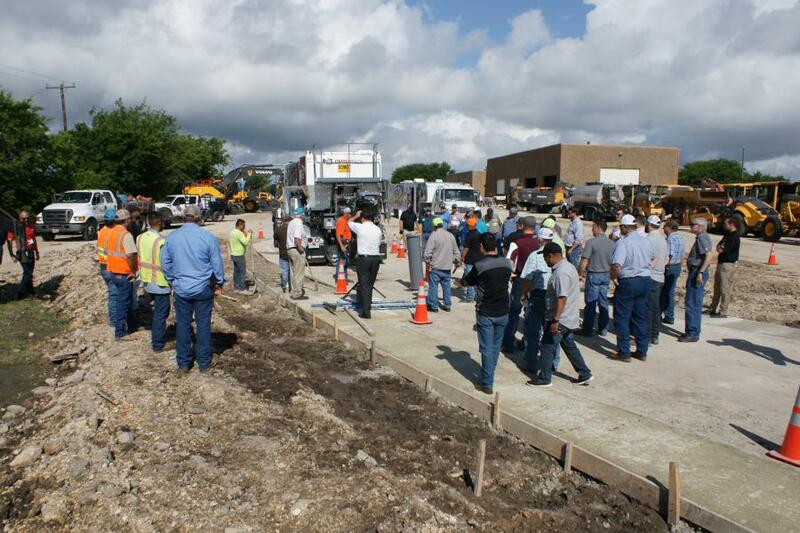 ROMCO Equipment Co. hosted the 2018 Cemen Tech Texas Roadshow in San Antonio May 22 to 23 and in Houston June 5 to 6. 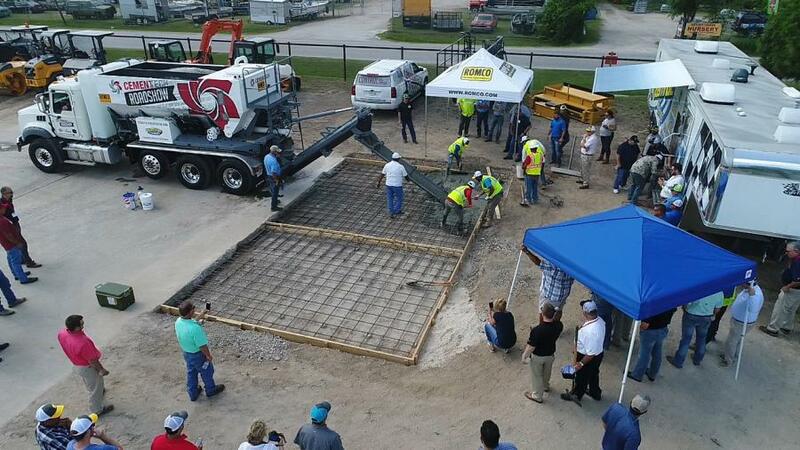 Both Roadshows featured three demos that showcased fast-setting concrete, flowable fill and typical concrete production. Texas' infrastructure is a major issue and one of the key questions is how to not only do quality repair but also to do it quickly so that roads and bridges can reopen without delay. 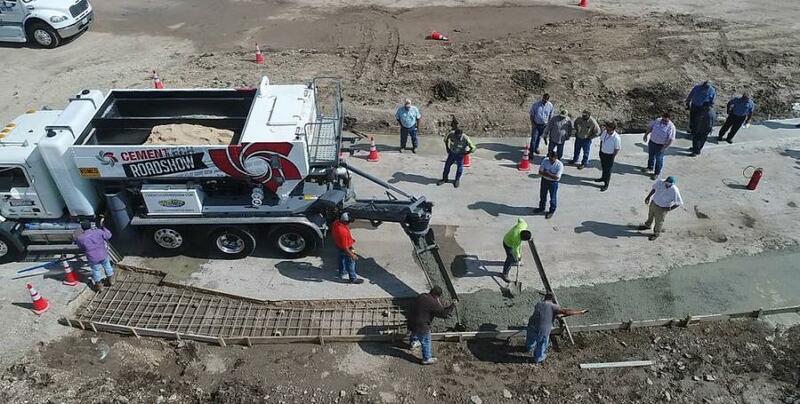 Fast setting concrete poured by volumetric concrete mixers is used by DOTs and engineers across the country and could help address Texas' infrastructure issues if used to its full potential. Volumetric mixers are perfect for road and bridgework needing concrete. The Cemen Tech C Series volumetric concrete mixer with one-button operation with ACCU-POUR technology and the AP-Touch control panel allows for consistently accurate mix designs for every road and bridge job. Pre-programmed mix designs simplify labor by reducing the need to have concrete experts on staff and on site. Information is stored electronically for each job, allowing the end user to increase productivity, profits and to lower total operating costs. 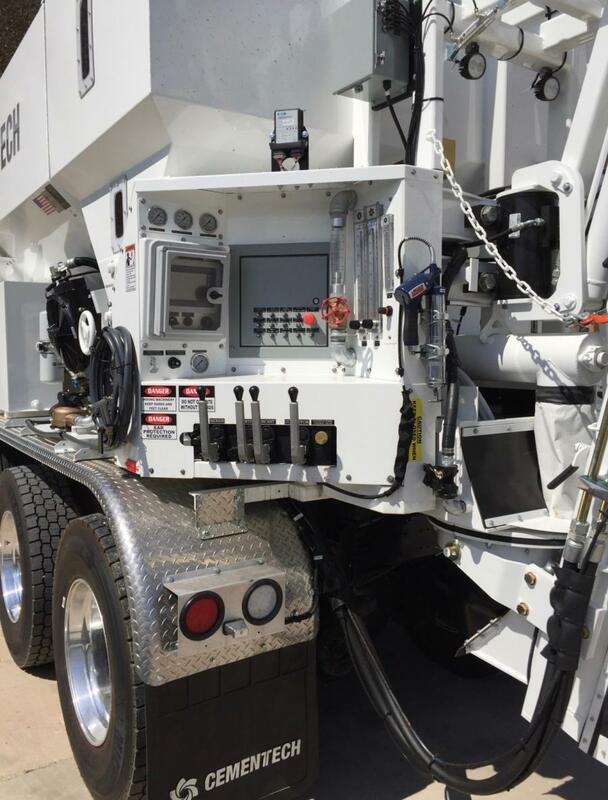 ROMCO Equipment hosted Cemen Tech, a -volumetric concrete mixer manufacturer, because it recently added the Cemen Tech equipment line to its ROMCO Paving division, the exclusive dealer in Texas for Cemen Tech equipment and parts. Other Cemen Tech Roadshow participants included FasTrac from Western Material & Design — for fast setting concrete demos, Mack Trucks and Vanguard Trucking, Trans Lease (finance options) and busybusy.com (construction industry time tracking). Local utility, concrete, road and bridge contractors, engineers, DOTs, project managers and municipalities were invited for a demonstration of the latest technology available in fast setting concrete. For more information, visit info@romco.com, or call 214/819-4100 or 800/227-6626.